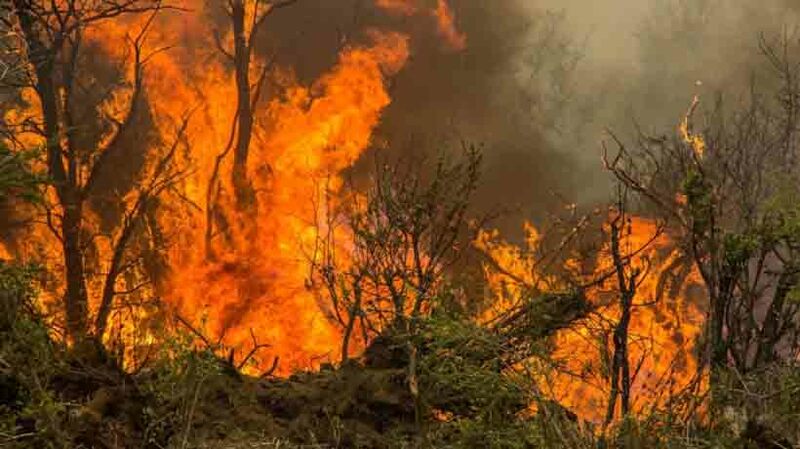 Some students out trekking in the hilly terrain in Theni district have been caught in forest fire to douse which Indian Air Force will press into service to save the 40 odd students said to be trapped in the forest fire. The students are said to be stuck on Kurengini hills in Theni district of Tamil Nadu. Already seven students have been rescued. Union defence minister Nirmala Sitharaman on Sunday tweeted that the souther command was in touch with the Theni district collector. TN deputy chief minister O Panneerselvam is rushing to the spot as also collector and SP of the region. Union defence minister was responding to a request from Tamil Nadu chief minister Edapaddi Palaniswami and activating the air force personnel. Already helicopters from Coimbatore have been dispatched to the spot, sources said. Fire tenders from nearby areas have been rushed to the spot to rescue the students.